Reiss can produce custom mixed silicone rubber compounds in a variety of preformed shapes, including sheets, strips, rods, and continual roll forms, in lots as small as 2 pounds. The compounds can be produced in translucent and custom colors. While a component manufacturer, we will sell custom compounds to other rubber manufacturers who seek our expertise. Reiss compounds meet the most exacting requirements and specifications, including most automotive, military, commercial, UL, NSF, ASTM D-2000, ASTM C1115, ASTM D1056, FDA 21 CFR 177.2600, ZZR-765, A-A-59588, A-A-55759, AMS, EQUIV. TO BMS, PD SPEC 45551AC-AM, MIL-R-25988A, and other custom specifications. We are RoHS compliant. 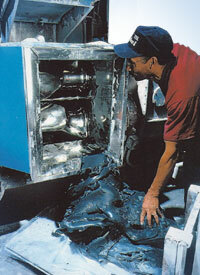 We work with platinum and peroxide cure systems. We have extensive relationships with all major base suppliers. 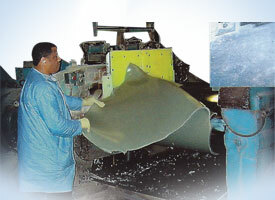 We are most competitive in supplying mixed and milled silicone. Our in-house lab can perform most required testing, but if additional testing and certification is needed, we contract with proven outside testing services. While a component manufacturer, we will sell custom-formulated compounds. Contact us now to get the custom rubber formulations you need. You may also use our online RFQ form to submit a Request for Quotation for your next project.